This article explores 21st century skills, nonlinear thinking skills, and the need for student reflection-which, taken together, serve as an essential foundation for digital-age teaching of today's hypertext learners. 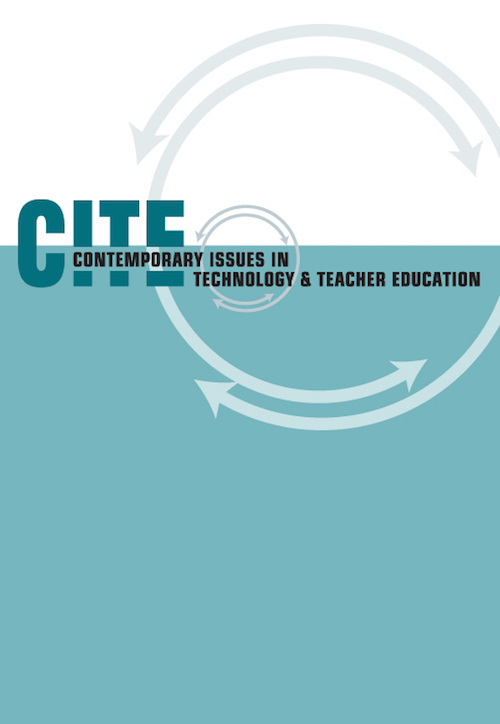 The authors discuss why preservice teachers need to use multimedia technologies within the context of students' familiar, technology-rich living spaces to develop their own teaching skills and the technology skills of their students. Exemplary multimedia samples are offered as demonstrations of ways to develop essential technology-related skills in the next generation of teachers. Lambert, J. & Cuper, P. (2008). Multimedia Technologies and Familiar Spaces: 21st Century Teaching for 21st Century Learners. Contemporary Issues in Technology and Teacher Education, 8 (3), 264-276. Waynesville, NC USA: Society for Information Technology & Teacher Education. Retrieved April 23, 2019 from https://www.learntechlib.org/primary/p/25318/. Gunter, G. (2007). Building student data literacy: An essential critical thinking skill for the 21st century. MultiMedia & Internet@Schools, 14(3), 24-28. Henniger, M. L. (2003). The teaching experience: An introduction to reflective practices. Upper Saddle River, NJ: Pearson/Merrill/Prentice Hall. International Society for Technology in Education. (2007). National educational technology standards for students. (2nd ed. ).Eugene, OR: Author. Jacobson, M., & Archodidou, A. (2000). The design of hypermedia tools for learning: Fostering conceptual change and transfer of complex scientific knowledge. Journal of the Learning Sciences, 9(2), 145-199. Jacobson, M. J., Maouri, C., Mishra, P., & Kolar, C. (1996). Leaning with hypertext learning environments: Theory, design, and research. Journal of Educational Multimedia and Hypermedia, 5(3/4), 239-281. Levy, F., & Murnane, R. (2004, October). Education and the changing job market. Educational Leadership, 62(2), 80-83. Lima, M., Koehler, M., & Spiro, R. (2004). Collaborative interactivity and integrated thinking in brazilian business schools using cognitive flexibility hypertexts: The panteon project. Journal of Educational Computing Research, 31(4), 371-406. Ottesen, E. (2007). Reflection in teacher education. Reflective Practice, 8(1), 31-46. Prensky, M. (2001b). Digital natives, digital immigrants, Part II: Do they really think differently? On the Horizon, 9(6). Rabe, M., & Cadorna-Carlos, J. (2007, May). Hyperlinked case presentation to promote self-directed learning. Medical Education, 41(5), 511-511. Ray, B., Powell, A., & Strickland, J. (2006, Fall). Technology integration and the preservice teacher: A roadmap for reflection and observation during early field experiences. Teaching & Learning, 21(1), 29-58. Spiro, R. J., & Jehng, J. C. (1990). Cognitive flexibility and hypertext: Theory and technology for the nonlinear and multidimensional traversal of complex subject matter.